I want to love gardening. Truly. I imagine kneeling in row after row of weedless vegetables wearing pristine white shorts and immaculate gardening gloves picking perfect green beans. 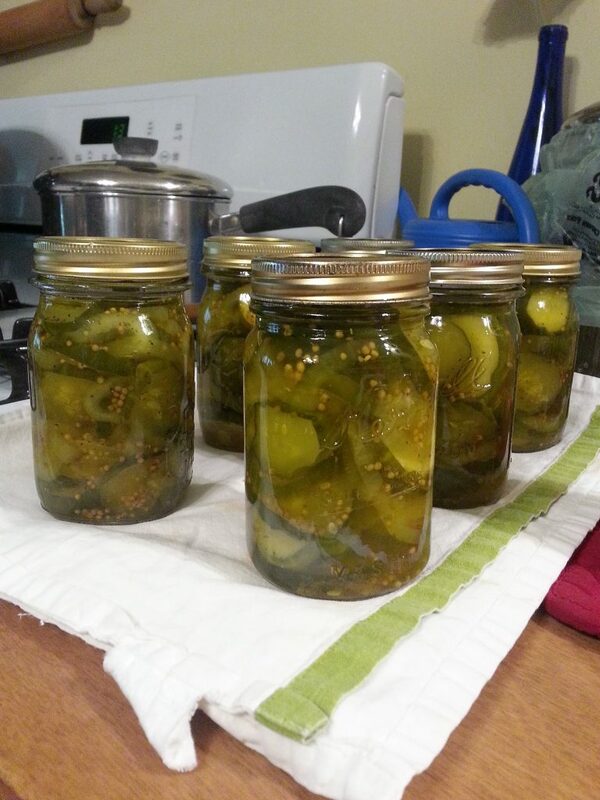 Two hours later, twelve gleaming pint jars filled with vibrant green vegetables would grace my counter. No evidence of my endeavors would mar the scene. No dirty dishes. No errant bean on the floor. In my imagination, gardening is a wonderful pastime. Instead, I’m sprawled in the midst of a weed and bug infested wasteland wearing my oldest t-shirt and a pair of torn denim capris. I can already feel the chiggers nibbling at my ankles. It’s ninety degrees by noon, and unlike my amazing daughter-in-law who glistens when she sweats. I SWEAT. My face turns beet-red and I look like I’m about to have a heart attack. 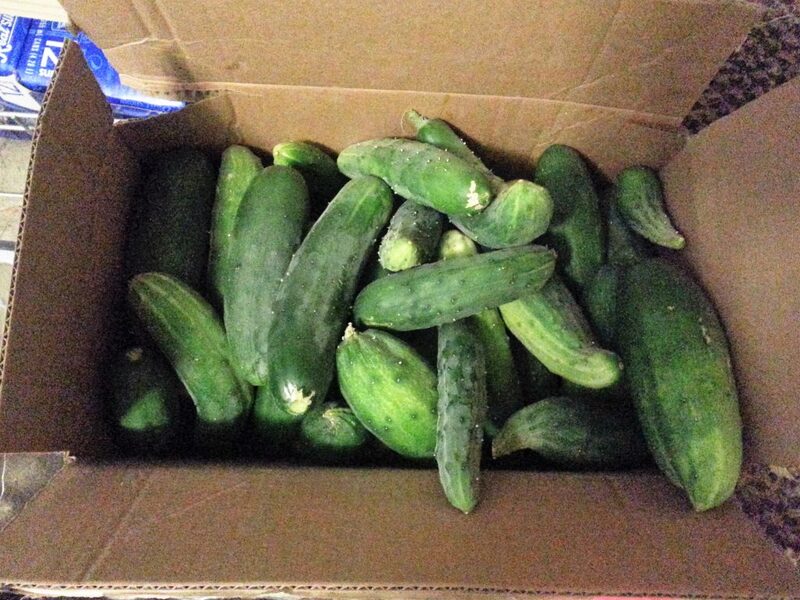 We had boxes of cucumbers, so I made pickles for the first time ever. Bread and butter pickles. Here’s a link to the recipe from Taste of Home. Notice I’m not showing you the white spoon I used to stir the pickles. It isn’t white anymore. The turmeric turned it yellow. We wound up with too many beans and tomatoes to eat fresh, but not really enough to can. I know from personal experience that a whole ton of tomatoes only makes about 5 pints of spaghetti sauce. Sorry, but that’s just not worth the all-day working, the burns, and the heat in the kitchen. Any idea how many tomato plants it takes to can spaghetti sauce?